The French grape viognier burst onto the California scene in the mid-nineties and was pondered as the next “wine noir” to supplant Queen Chardonnay. While it did not meet those expectations, viognier plays a vital role in blends on three continents and has realized success as a single varietal wine in the United States with nearly 3000 acres planted. Modern-day viognier, pronounced “Vee-ohn-yay”, emerged from the small northern Rhone village of Condrieu, where it is the only grape permitted. Known for floral, aromatic bouquets and concentrated orchard fruits, it has gained appeal in California as a single varietal Elsewhere, it is most identified as a vital component of the famous Rhone Valley blends and, more recently, of those in south Australia. Adding color and robust aromas, viognier teams up, in varying degrees with marsanne, roussane, counnoise and Grenache blanc to create the renowned whites from Chateaunef-du-pape in the south and Hermitage in the northern Rhone Valley. 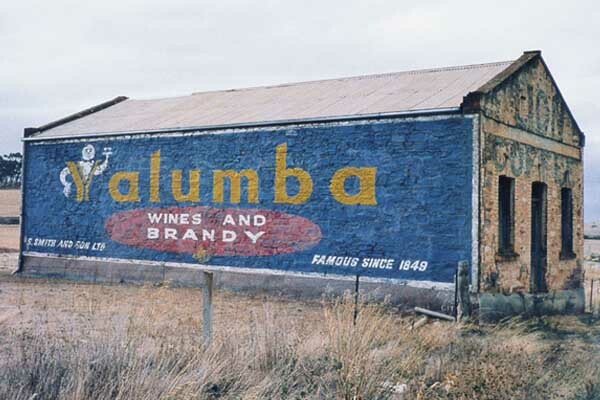 While these are timeless wines, they do require some research to assess quality and availability. Fortunately, California Rhone blends can provide an excellent alternative. Two blends, produced on the Central Coast, are more readily available and can aptly help one discover what the thrill is all about. From cool Monterey County, the flagship 2010 Treana White ($23) of the Hope Family Wines collection equally combine marsanne and viognier to produce beautiful jasmine bouquets and stone fruits on the palate. Aged separately in French oak, it has a honey-like rich texture that will actually improve with age. A rare viognier-dominant Rhone blend, the 2010 Tablas Creek Cotes de Tablas Blanc ($27), from Paso Robles’ patriarch of California Rhones, consists of 54% viognier, 30% Grenache blanc, some marsanne and roussane, all aged in stainless steel tanks. Of course, this wine has a serious nose to accompany a rich texture of peach and melon, adding a nice minerality on the finish. In the northern Rhone Valley, viognier and syrah vines are often inter-planted (intermingled) and blended together to enhance the final syrah. Adding viognier, typically far less than the legal limit of 20%, with the red grape seems to enhance the color and bouquet, adding peach and spice to the traditional dark berry flavors. 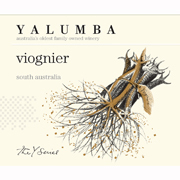 Recent excitement for viognier/syrah blends is coming from south Australia where several top-of-the-line; highly rated shiraz producers are adding 2%-12% viognier to their best wine with terrific success. Rarely inter-planted in Australian vineyards, the two grapes are blended before fermentation, a technique called co-fermentation. While the characteristics of viognier can easily over-power or alter the syrah flavor profile, when in balance the enhanced color and aromas are significant. In California, viognier have traditionally flourished in the Paso Robles, Santa Lucia Highlands, Edna Valley and Russian River Valley appellations. In recent years, as with most varietals, experimentation has broadened the appeal of viognier into new terroir. A brief trip last year to Calaveras County introduced me to a few wines that caught my attention. Adding 11% of the highly acidic picpoul grape to viognier from the Dalton Vineyard, the 2011 Twisted Oak Calaveras County Viognier ($19) maintains good balance with concentrated tropical and stone fruits and a slightly astringent finish. Surprisingly, California is neither the only, nor necessarily the best producer of viognier in the United States. It seems that “Old Dominion,” the state of Virginia has the terroir, the will and over 100 wineries to produce highly rated viognier and a few other varietals. The soil and extended warm growing season around Thomas Jefferson’s Monticello estate allows the grape to fully ripen, exposing provocative aromas and full tropical and stone fruit flavors. This is secondhand information provides incentive to plan a trip to the Washington D.C. area. Investigation of viognier has peaked my interest in finding new wines that reveal its characteristics, individually or in a blend. Two wines top my wish list, one a highly rated Santa Barbara County syrah and the other a rare blend. Rated in the mid-nineties, the 2008 Ojai Vineyards “Roll Ranch Vineyard” California Syrah ($40) is co-fermented with 2% viognier. Many reviews boasted those deep dark berry flavors, but all emphasized a copious floral nose. Finding viognier in the company of marsanne or Grenache blanc is not anything out of the ordinary. They arguably, comprise the greatest white blends of them all. 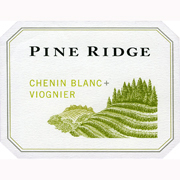 For these reasons, the 2011 Pine Ridge Chenin Blanc-Viognier ($12), an unusual blend, peaks my curiosity. Reading consistent comments like “intensely aromatic” and “added floral and spice” tells me that the 21% viognier from Lodi has tamed, to some degree, the crisp acidity of the 79% chenin blanc grapes from the Sacramento Delta. Viognier has certainly not supplanted Chardonnay, or most white grapes as the preferred wine for California palates. However, along with the expanded production of chenin blanc, albarino, verdelho and the Rhone blend grapes, viognier stands tall as a white varietal that gives us enormously fragrant aromas and complex flavors. It’s global presence and adaptability to east and west coast climates implies that it is here to stay. This entry was posted on Thursday, February 28th, 2013 at 9:08 pm	and tagged with northern rhone, orchard fruits, stainless steel tanks, tablas creek and posted in Wine. You can follow any responses to this entry through the RSS 2.0 feed.